It’s a boy! Kate, the duchess of Cambridge, safely delivered a baby boy Monday morning. He’ll be fifth in line to the British throne, behind his grandfather, father and two older siblings. The new prince has a name — in fact three. The infant son of the Duke and Duchess of Cambridge has been named Louis Arthur Charles, Kensington Palace announced Friday. 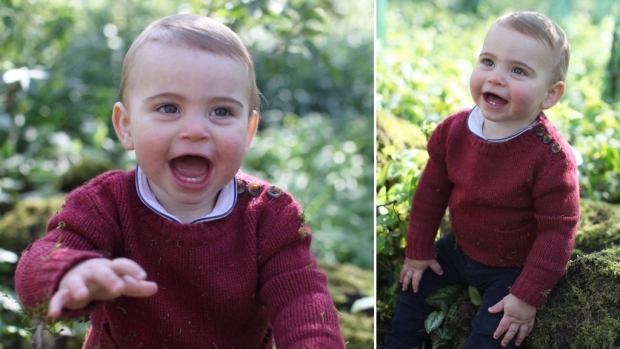 The palace said the baby's full title is His Royal Highness Prince Louis of Cambridge. William and Kate's third child was born Monday, a brother to 4-year-old Prince George and Princess Charlotte, who is almost 3. Louis — pronounced LOO-ee — is fifth in line to the throne after his grandfather Prince Charles, his father and his older siblings. The name pays tribute twice over to Prince Charles, who has Arthur as one of his middle names. The choice also honors Louis Mountbatten, Charles' great-uncle and beloved mentor, who was killed by an Irish Republican Army bomb in 1979. Royal Baby Name: How Do You Pronounce 'Prince Louis'? Bookmakers had been doing a brisk trade in bets on the new prince's name, but Louis wasn't among the favorites. The royal couple has used it before, as one of George's middle names. Arthur, Albert and James had been considered front-runners.